I wasn’t sure what this app was at first, I thought it was to provide ringtones from the Lumia campaign and I just ignored it. Thankfully, Lumia Music had a try before you buy and I was pleasantly surprised with what it does. Using the microphone, it listens out to the surroundings and provides visualisations with colourful tiles, or circles or bars. This could be your voice, the music from the phone itself, incoming message tones or surrounding music. Apart from the things I mentioned, the app works really well. I do notice the slightest ever ‘hiccup’ when transitioning from one battery style to another, but I don’t know if that’s intentional. I’d like to see this possible integrated with the Zune player as an optional visualisation (and that way it could possibly be more accurate if it’s processing the music and not the volume). Don’t keep staring at album art when you’re playing music. You deserve to see stunning visuals. 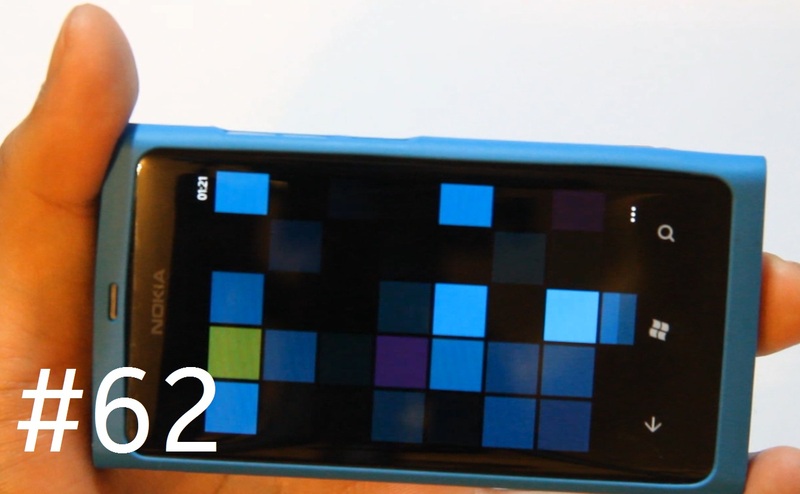 This app provides Lumia visuals when it hears sounds from microphone… Its amazing visuals can keep you entertained while listening to music, and will keep people staring at your phone. The trial is ad supported with full functionality. « Nokia Lumia tips: Read text messages aloud/say incoming messager’s name.